The Texas House is set today to take up two major budget bills. House members prefiled more than 150 amendments for consideration to Senate Bill 1 by Sen. Robert Duncan (R-Lubbock). The goal of the legislation is to generate additional revenue to help cover spending in the 2012-13 state budget. During the regular session, the measure attracted more than 400 amendments. SB 2 by Sen. Steve Ogden (R-Bryan) also has a few dozen amendments waiting on the sidelines. SB 2 amends current law to appropriate money to support state government. While most of the state budget has passed and is awaiting action by the comptroller and governor, the appropriation for schools was contingent on the passage of school finance legislation, which failed in the regular session. This bill makes the needed appropriation. Yesterday, the House gave tentative approval to SB 7 by Sen. Jane Nelson (R-Flower Mound) after adding 29 amendments. Amendments ranged from denying state funding to hospital districts that provide abortions or abortion-related services except in cases of a medical emergency, to allowing Texas to enter into an interstate health care compact with neighboring states to take control of Medicaid and Medicare and seeking a federal waiver to fund Texas Medicaid. The omnibus health care bill is scheduled for final approval in the House today. The bill will then be sent back to the Senate, where the options are to concur with the changes or send the bill to conference to work out the differences. 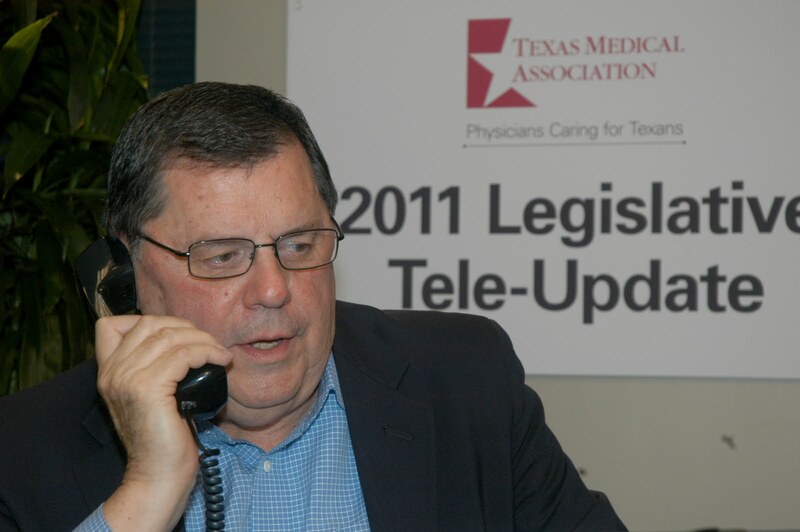 Last night more than 1,400 physicians participated in TMA’s 2011 Tele-Legislative Update. TMA President C. Bruce Malone, MD, along with Gary Floyd, MD, chair of TMA’s Council on Legislation, and Dan McCoy, MD, immediate past chair of TMA’s Council on Legislation, walked physicians through what happened during the regular session that affects physicians and their patients, and what is still in play during the special session. TMA’s lobby team was available to answer questions. Next week, TMA will post the answers to the questions asked, along with a video of the event, on the TMA website. If you were on the call last night, remember to fill out your CME form. You can find it on the TMA website as well. Thanks to everyone who participated in the call.